Make Beliefs Comix by Guarionex Press, Ltd.
Make Beliefs Comix provides comic strip making fun for kids of all ages. Tap into your rich imagination to create your own world and stories with help from our easy-to-use comic strip generator. 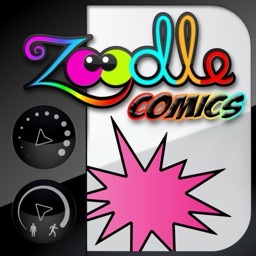 Then share your comic with the world via email or on any social media channel. To create your comic tales, you can select from 62 human and animal characters, each showing 4 different emotions for a total of 248 character choices – there's even a werewolf, vampire and poodle girl to stir things up. Then, put words in the mouths and thoughts in the heads of these fun characters as you fill in their talk and thought balloons. (Write in English, Spanish, French, Italian, German, Latin or Portuguese.) To enhance your stories, you also can choose which of the dozens of objects and scenes to add to the template panels where you place your characters. You can work in two-, three-, and four-panel formats to create your comic stories, color in the backgrounds for extra impact, and scale the size of the characters to fit your storytelling needs. 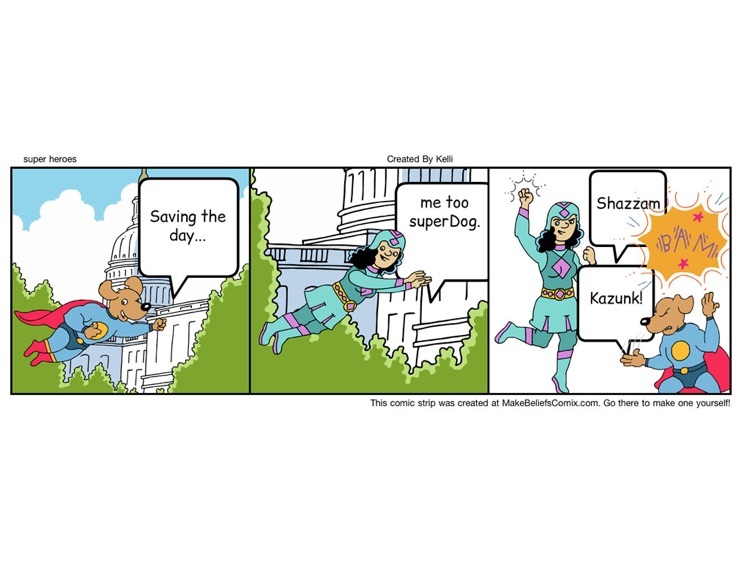 After you build your own comic strips you can share them with friends and family via e-mail and social networks. What better gift could you give someone then to send a comic strip you created especially for them? How about creating a birthday comic strip? Or one to stay in touch with and say hello to a dear friend? 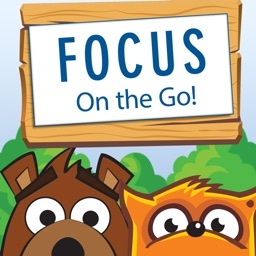 Or, make a comic strip to highlight something new you've learned, to illustrate a complicated issue, or to help present a school or work project. 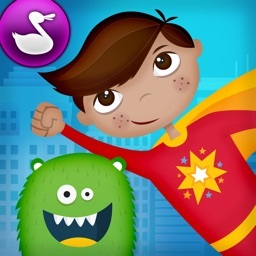 This Make Beliefs Comix App for iPad was developed from the popular web site, MakeBeliefsComix.com, now used by families and educators in more than 180 countries. 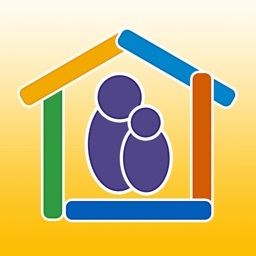 The site was named a "Great Web Site for Kids" by the American Library Association and selected by UNESCO and Google as among the world's top websites to encourage literacy and reading. 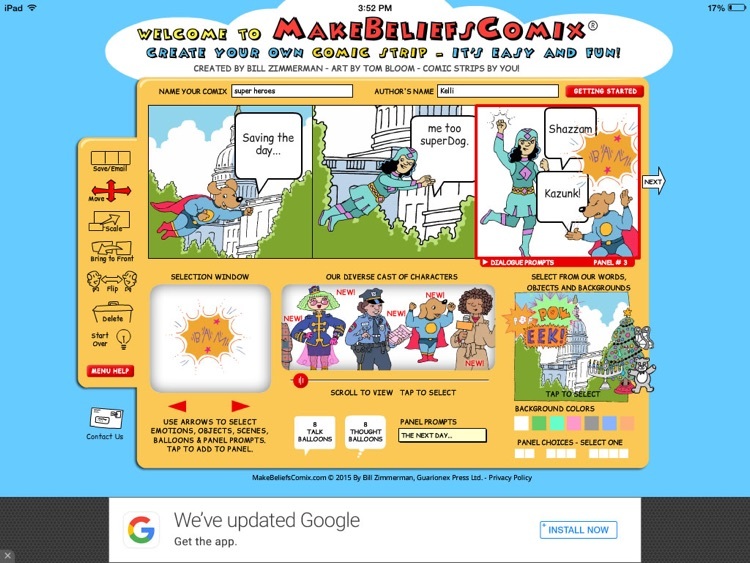 In addition to being an educational resource for literacy and English-As-Second Language programs, Make Beliefs Comix can be used to help children with special needs, including those with Autism, communicate and understand concepts more easily. 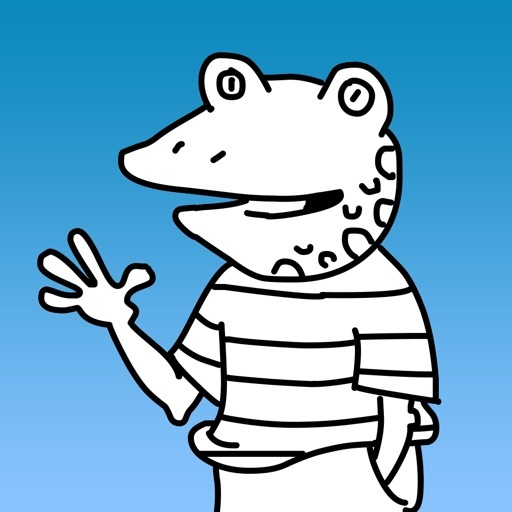 Have fun with our comic-maker. It's free and fun for all ages!